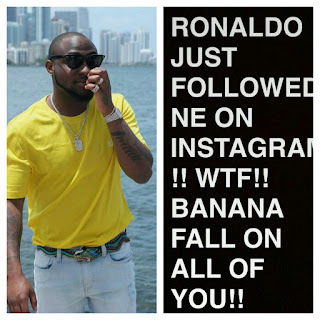 The talented singer Davido 25, whose single "Fall" got massive airplay all over the internet recently got the attention of Christiano Ronaldo who happens to be a big fan. The talented footballer whose love for Davido's hit song "Fall" became stronger when he made reference to him on a verse that says 'My girls call me Christiano, Mr Ronaldo' decided to take a quick walk to davido's instagram page to hit the Follow button. 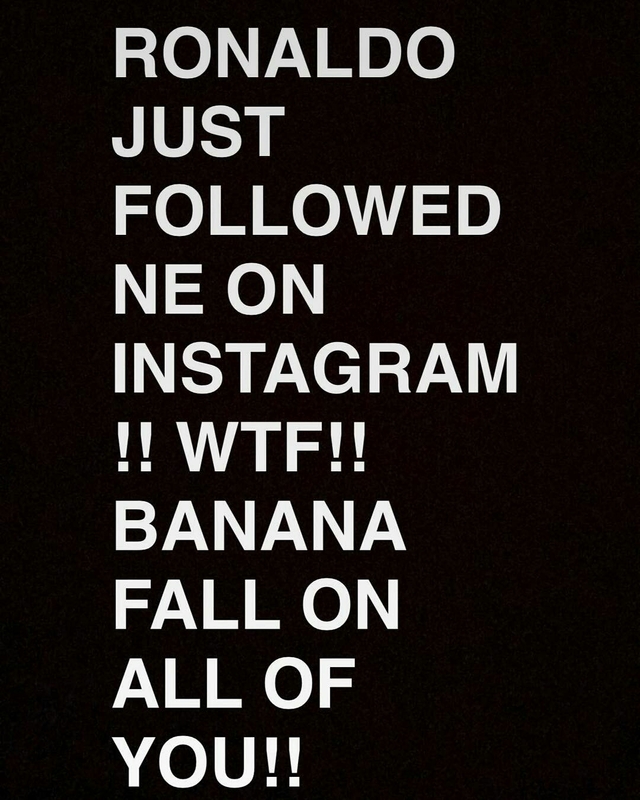 The excited singer quickly took to his Instagram page to officially inform his fans that the Mr. Ronaldo he sang about his now one of his followers on instagram. See screenshot of what he shared below..